…. As a dedicated doc-watcher, as well as a documentary screener/curator for an international film festival for the past five years, I’ve found a few documentaries related to art and culture that have really stuck with me over the years. Here is my roundup, not only of films from the last year but of the past decade. These are films you may have missed in theaters, never saw because they got a one-week showing in NYC and LA and nowhere else, or that were simply too far below the radar …. …. Birth of the Living Deaddocuments the genesis and making of this seminal film, weaving it seamlessly into its late-sixties origins. 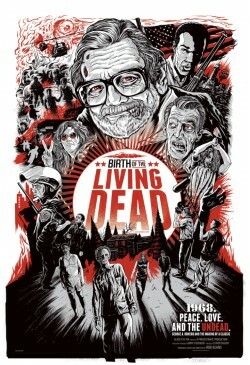 There’s the added bonus of an extensive interview with a most delightful George Romero (the director of the 1968 film) as well as hilarious details of how this film was made on a shoestring in suburban Pittsburgh, with many from the local community volunteering to portray the first flesh-eating zombies of the modern era ….